Our cultivators are provided with spring tines (the number of tines depends on the type and working width) and a crumble roller with a width of 25, 50 and 75 cm. There are 2 types available, 1 for the very narrow rows (working width of 47,5 cm) and a wider type for working widths between 68 and 83 cm. Those two types can be provided with an extra widening set for working widths between 100 and 115 cm. 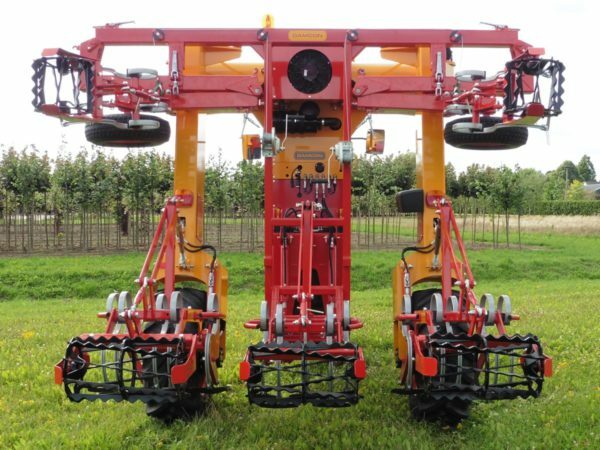 All around weeders are meant for removing weeds between rows, the machine is provided with a 37 cm hoe and a sensor to make the hoe going in and out the row when needed. 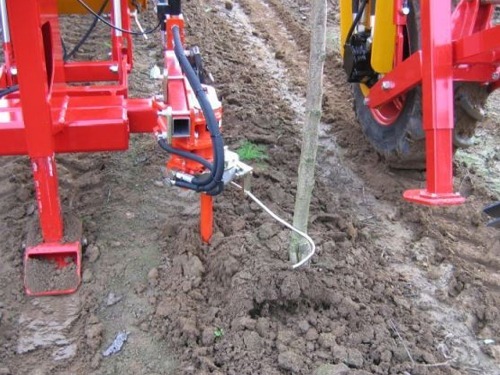 The hoe works in the row when no obstacles are found, otherwise when the sensor encounters an obstacle (for example a tree or stump) the hoe is simply going back into its starting position.